Makeup primers are considered new products in the market since they haven't been around for a long time as compared to the usual make up that we know. But primers are getting more popular because of the wonders that they can do. For one, using a make primer will help makeup stay put longer without creasing or your skin producing more oil. That's why if you are going somewhere and you need your makeup to last long, applying primer is a step you should not skip. 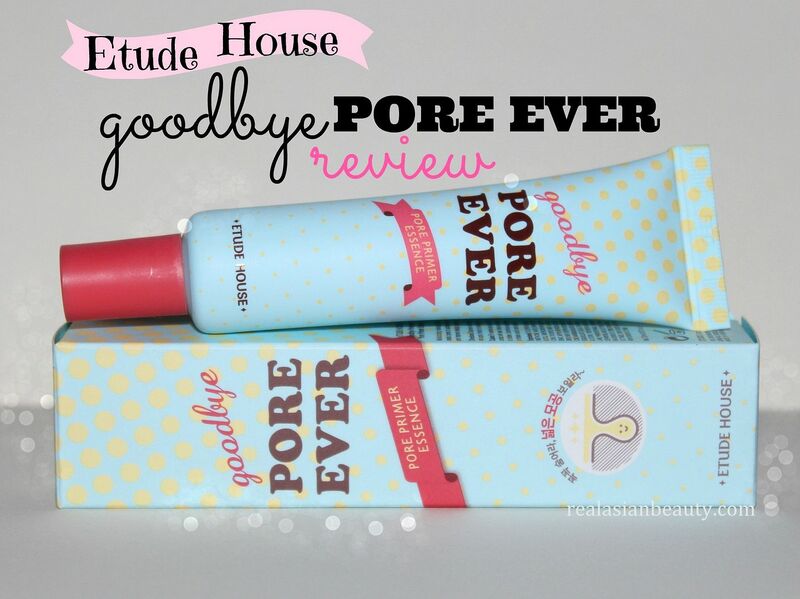 Here's a primer I will be reviewing today : Etude House Goodbye Pore Ever Pore Primer Essence! "With perfect pore coverage and sebum control powder that will let you experience Flawless Silky Skin!" Goodbye Pore Ever Primer contains polymer gel that fills in pores and lines to create an even surface for a flawless foundation for your make up. It gives the makeup something to grab onto and help it last longer. It also prevents the formation of sebum that causes our skin to be really oily thus causing pimples! HOW TO USE : After your usual skincare, apply the primer prior to applying your favorite foundation and concealer. Apply it onto the skin area where pores are noticeable or apply on the T-zone where oil production is more. Squeeze a tiny amount on the back of your hand then use clean fingers to apply evenly on skin. The primer will seem shiny/oily at first but will dry as matte after a few seconds. When the primer has completely dried, proceed to your regular makeup routine. Here's a photo showing the transition of my skin from bare face, to primer application and then after applying full makeup. What the primer did to my skin : Since I have extremely oily skin, using a good primer is the key to creating my flawless look and to allow my make up to last longer. My favorite is the Smashbox Photo Finish that really does wonders and really keeps its promise to keep skin oil free, but the only downside is that it's too expensive to use on an everyday basis. So I have to have another primer that I can use everyday. 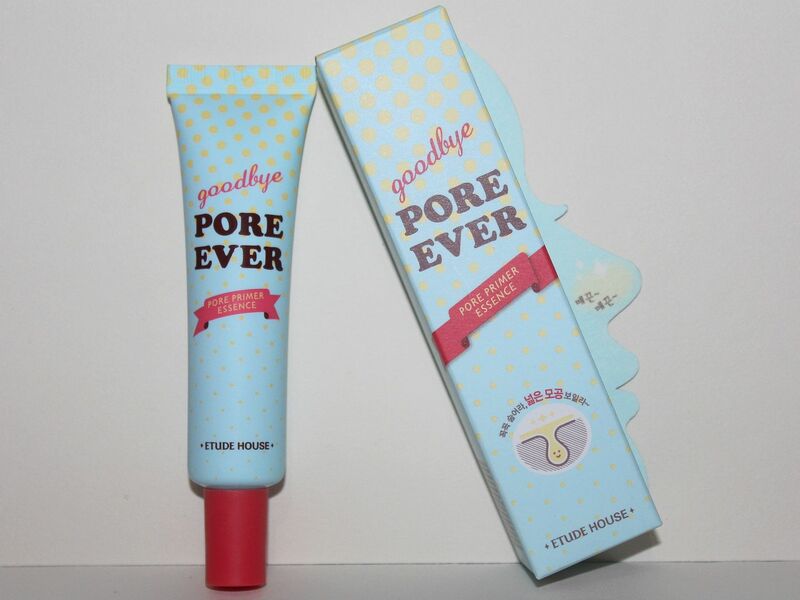 I noticed that the Goodbye Pore Ever Essence didn't leave a satin finish like what my favorite primer does. 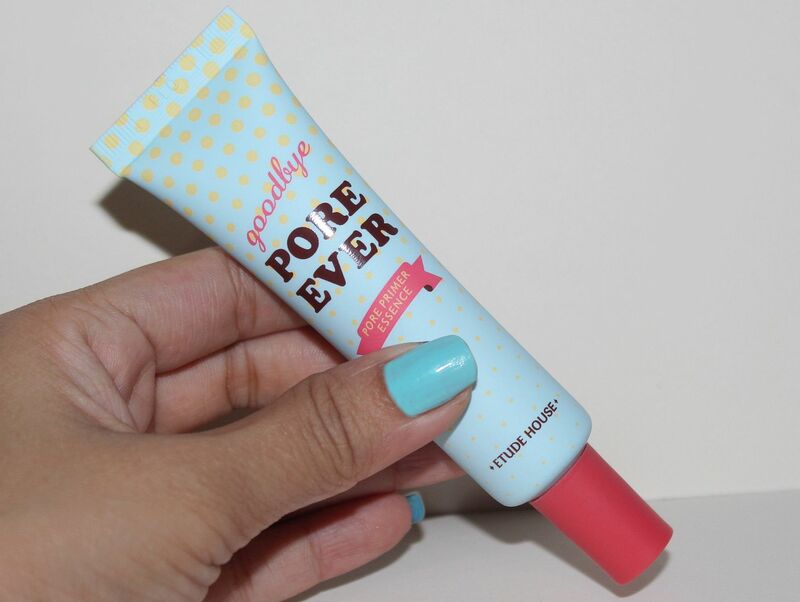 It also doesn't fill all the pores and lines like what it promises. But it does leave the skin feeling smooth and somehow controlled my skin to produce too much oil. Available local at malls and Etude House branches. LEFT : I applied the primer and my makeup at 2 in the afternoon. My skin did look a bit more flawless as compared to not using any primer at all. 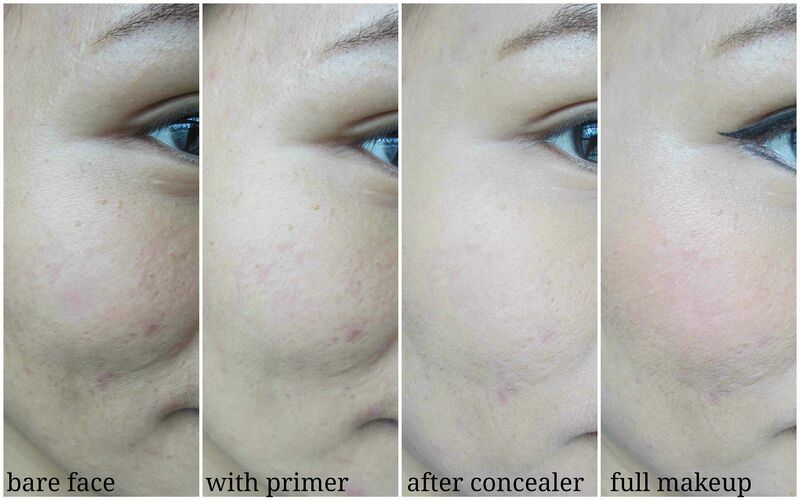 I noticed that it was easier to apply and blend my concealer because the surface of my skin was smoother. The overall look was good and helped me achieve a clearer complexion. 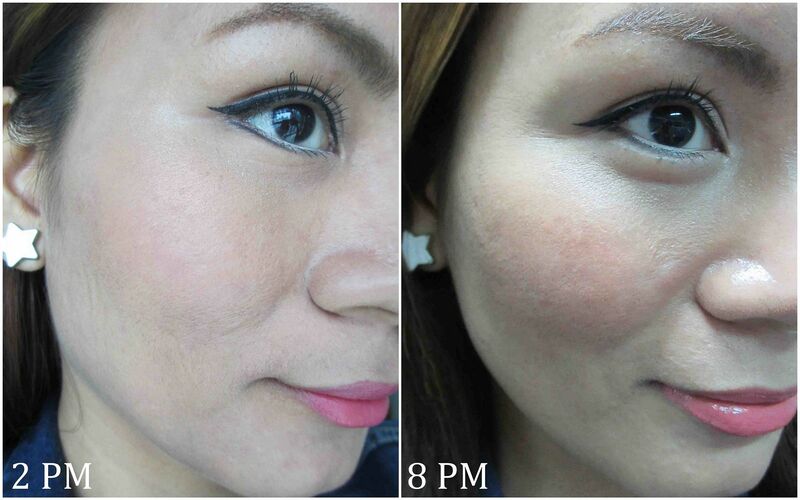 RIGHT : At 8 PM, 6 hours after applying the makeup. The Etude House Primer and my favorite Naturactor concealer may have good chemistry because my skin was not too oily, yet! You can see the tip of my nose and the temple of my cheeks shining due to some oil production was the rest of my face still looks pretty decent. The primer also helped my makeup to stay intact even after a couple of hours. Overall, I was not totally impressed with the primer. I think it's good but nothing too special to rave about. 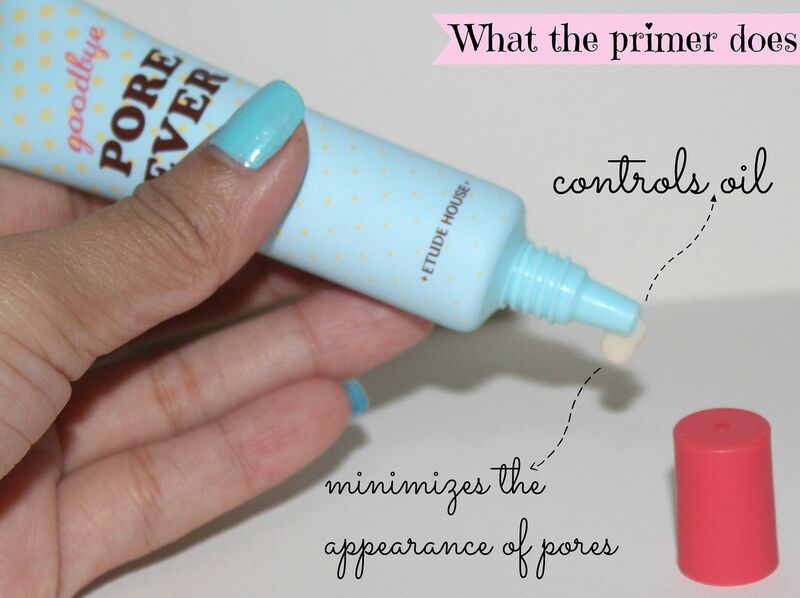 But for the price 1/4 of the more expensive primer that I have, I'd say the Etude House primer is good for everyday use. Because of the watery formula, I suggest people with dry or normal skin to use this. For people like me with really oily skin, I'd say the product doesn't really prevent oil production but rather just create a more clear base for your makeup.